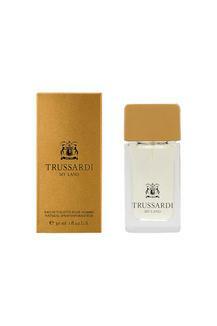 Infuse the aroma of luxury into your daily dose of fashion by wearing this eau de toilette. A magical concoction, this fragrance for men has a heart of lavender and violet flowers and that is further complemented by calone or a fresh sea breeze whiff to define masculine charm. An ode to ineffable virile charm, this eau de toilette from Trussardi ranks high on the list of must have fragrance for men.